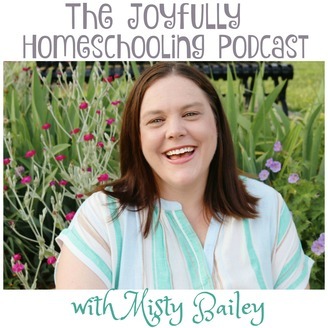 Created with the homeschool mom in mind, the Joyfully Homeschooling podcast is here to encourage and inspire you on your homeschool journey. 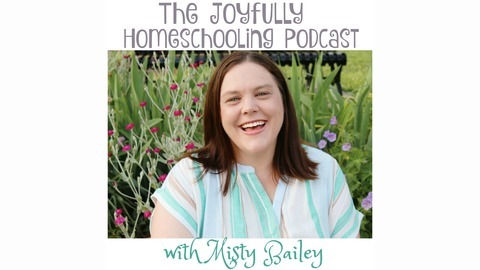 Through real stories, real struggles, and real life, Misty Bailey and her guests share how to embrace imperfection and strive for a more joyful homeschool. Misty is a homeschool mom to three kids and has been homeschooling for over 9 years. Learn more about her mission to encourage and equip the homeschool mom on her blog Joy in the Journey (findingjoyinthejourney.net) catch show notes and more at JoyfullyHomeschooling.com. Stefani Stoltzfus from Walls at Home blog is a wife and Mom to 3 kids, ages 6, 4 and almost 2. She is passionate about encouraging Moms to become warriors for their children. I loved chatting with Stefani about homeschooling and she offered an interesting perspective as a second generation homeschooler. I really enjoyed chatting with Stefani about personalities and TRULY getting to know her kids. That is one awesome benefit of homeschooling. When your kids are with you each and every day you can truly tailor their education to fit their needs. I love that reminder that they are people, NOT just hindrances to work around. What a great reminder of what really matters. If you liked this episode be sure to leave a rating or review. These serve as a notice to iTunes that I'm not speaking to myself. It will also give you a chance to have your review read online and win a gift from me :) Not sure how to leave a review? Here are instructions for iTunes and Stitcher users.